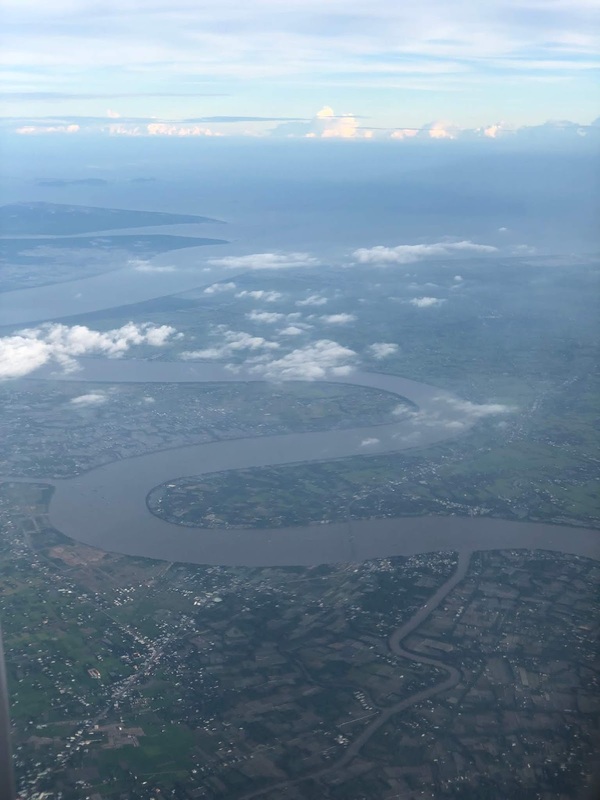 Approaching Tân Sơn Nhất International Airport from the south-east gave stunning views over the meandering course of the Mekong Delta. 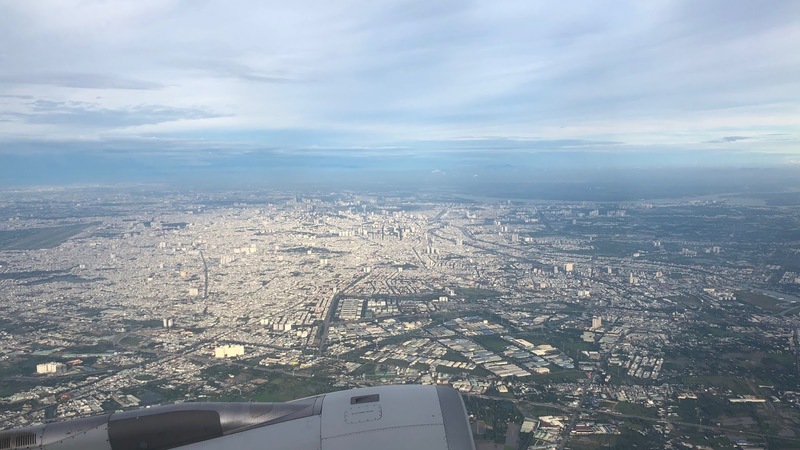 As we descended, Ho Chi Minh City’s vast sprawl was apparent; 13.5 million inhabitants live in the metropolitan area and 8.4 million live in Ho Chi Minh City (formerly Saigon) itself. The view towards the city centre was densely packed with monochrome buildings. On the western bank of the the Saigon River (Sông Sài Gòn) there was a concentration of high-rise buildings positioned on a broad meander which almost went full-circle. We would be staying at the Renaissance Hotel on that very meander. Vietnam had, for years, been high on my list of countries I wanted to visit. I had been eagerly looking forward to it throughout this whole tour too, so I was so glad to finally be there. The journey from the airport to the hotel happened at rush hour. Ho Chi Minh City made Bangkok and Phnom Penh’s traffic seem quite sedate. 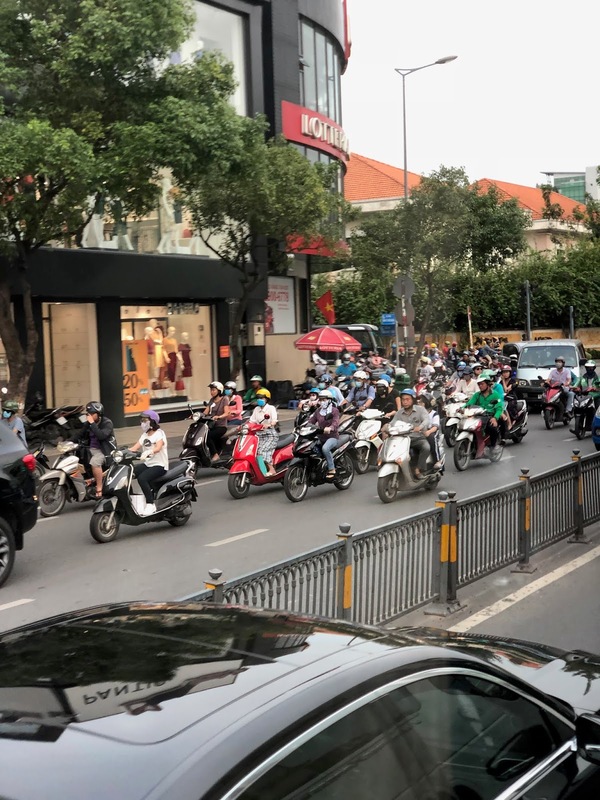 At least in Thailand and Cambodia the motorcyclists had the decency to ride on the roads - in Vietnam the motorcyclists often used the pavements as well. Swarms of motorcyclists formed in enormous clusters at traffic lights - the change to green initiated a 50cc Grand Prix. Engines spluttered into action accompanied by hoarse-sounding horns; only plumes of fumes were left behind. More than a few motorcyclists caused chaos by jumping the lights at each intersection; this was mesmerising - somehow like watching a timelapse video (but it was in real time). The art of transporting as much cargo as possible by motorcycle was also in vogue here, much to my delight. 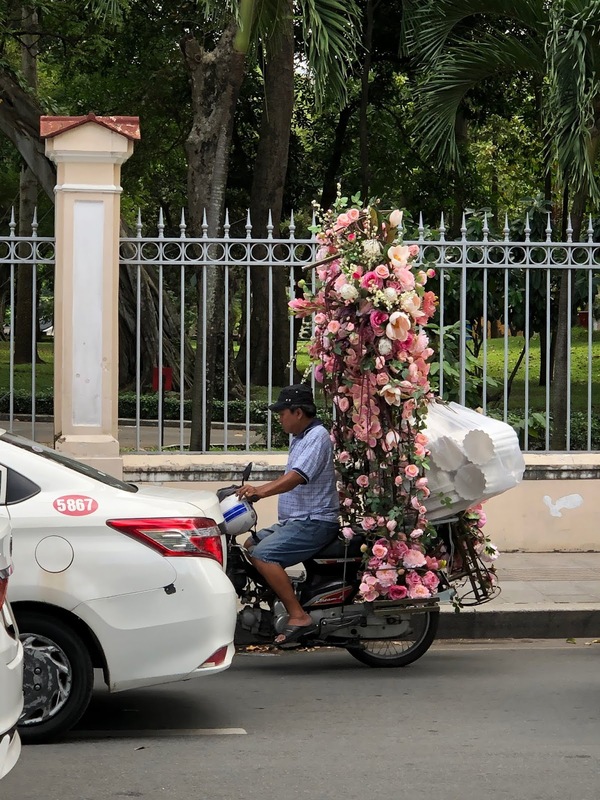 Highlights included: a whole cafe, a tuba, multiple sacks of rice, stacked glassware, square steel tubes about four metres in length, a prefabricated archway of flowers fit for a wedding, large picture frames and an easel, and a grand piano (the latter was on a tuk-tuk, thankfully). The motorcycle is more than a mode of transport in Vietnam - it is a way of life. 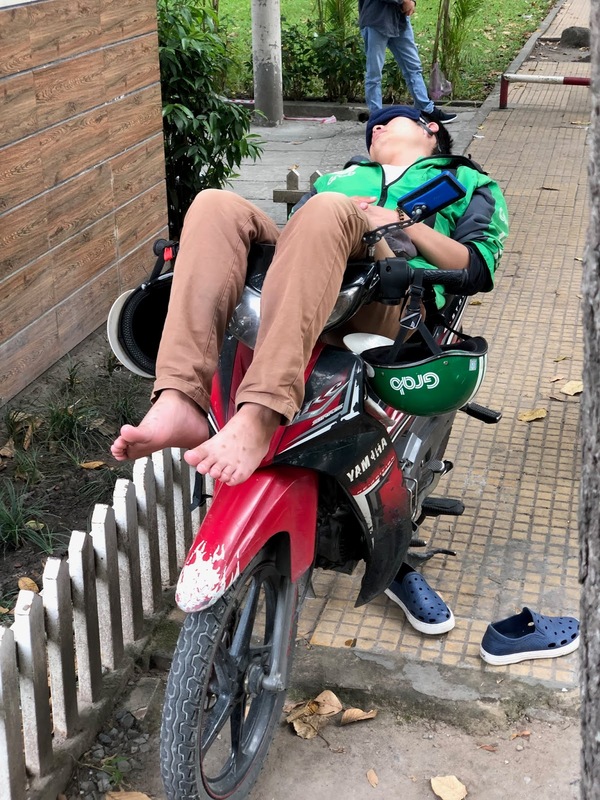 Some scooter drivers had perfected the art of sleeping on their parked bikes. They lay with their backs on the seats and slung their legs (bent at the knee) over the handlebars. We arrived at the Renaissance Hotel on Đường Tôn Đức Thắng. We checked in to find beautiful bouquets of flowers in our rooms - with compliments from Toyota. I particularly liked the Renaissance Hotel as everything was branded with the (... my) initial ‘R’ in a roman font. It was time for dinner and we reconvened with those who had revealed themselves as phở lovers while we were in Laos. However, first we had to transfer some US dollars into Vietnamese Dong (₫). I changed $50 USD and immediately became a millionaire, with ₫1,161,050 VND. 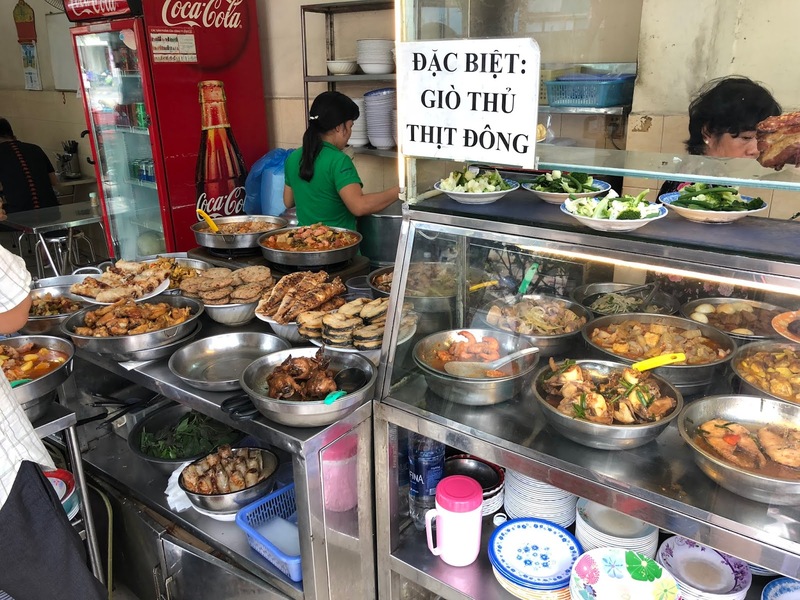 On the advice of the hotel receptionist (who had also performed the currency conversions) we walked to her favourite phở place, called Phở Ông Hùng, which was just a few streets away at 80 Đồng Khởi. We were very happy with this recommendation. Four large bowls of clear broth (vegetarian or with beef or chicken) and noodles arrived with quartered limes, beansprouts and varieties of fresh leaves including sawtooth. 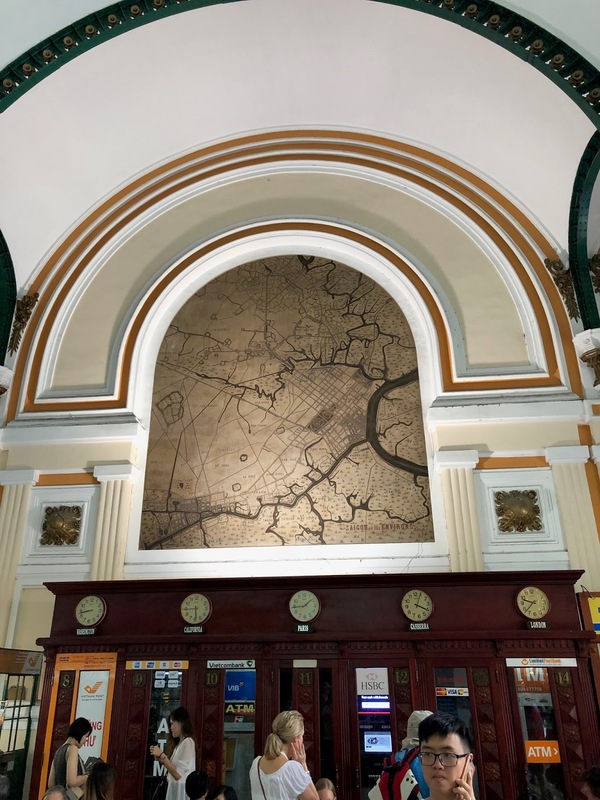 We had our only entirely free day in Ho Chi Minh City on Thursday 15th November 2018. 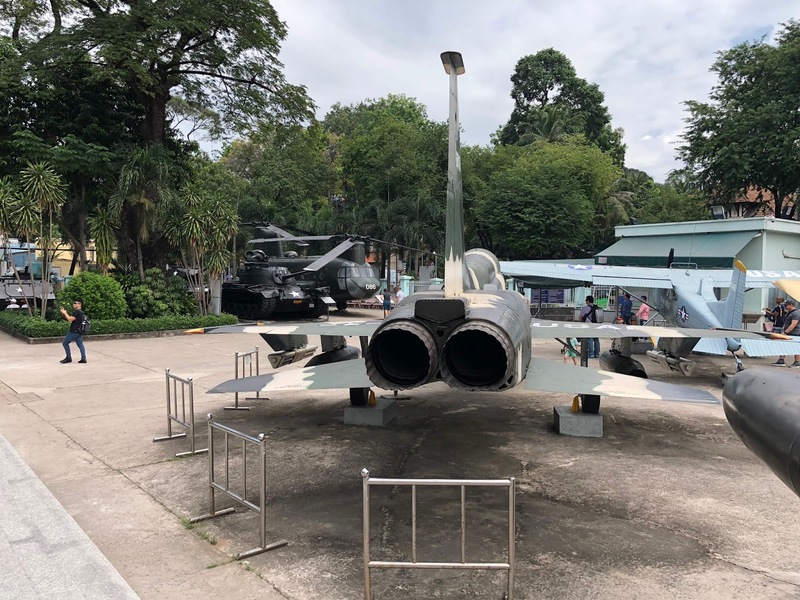 Will and I wanted to visit the War Remnants Museum in District 3 and we decided on a route that would lead us there via some other sights. 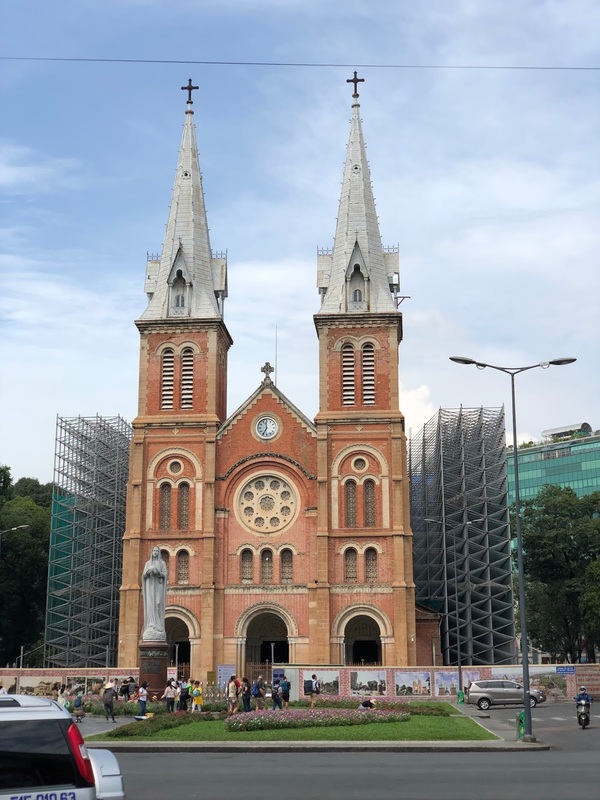 We had a look at the outside of the Notre Dame Cathedral Basilica of Saigon, which was built with bricks brought from Toulouse. 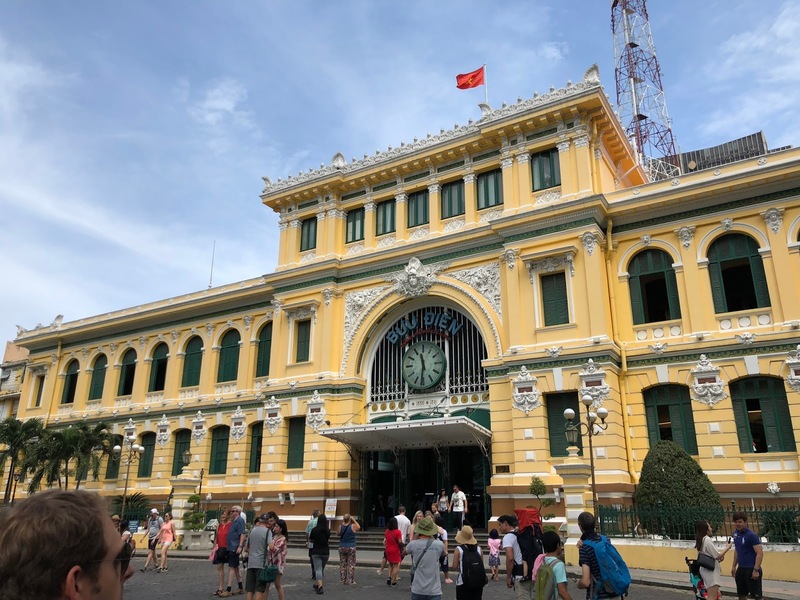 We also visited the adjacent Saigon Central Post Office which was built between 1886 and 1891 while Vietnam was part of French Indochina. The main hall has an arched ceiling and it is still used as a post office (and visited as a tourist attraction). 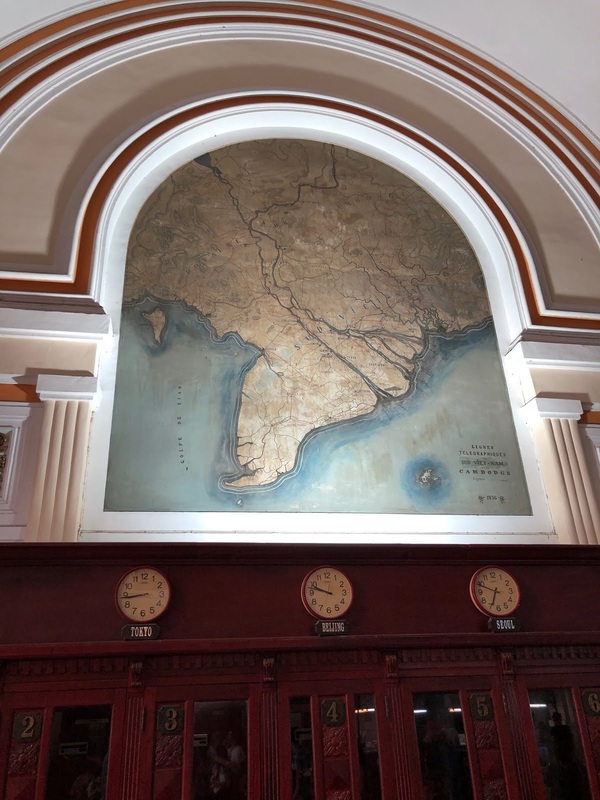 Two original maps from 1892 are painted on the walls showing the ‘Telegraphic lines of Southern Vietnam and Cambodia’ as well as ‘Saigon and its Environs’. We proceeded to the War Remnants Museum and began viewing the US helicopters, jet aircraft and tanks situated outside. There was a building housing a French guillotine (last used in 1960) and examples of the so-called tiger cages in which prisoners were brutally confined. The exhibitions inside comprised several photographic galleries which became increasingly graphic. The candid attitude toward killing evident in some of the photographs was very upsetting. The gallery showing the horrific effects and long-lasting deformities caused by Agent Orange (a toxic defoliant used to rid trees of leaves to reduce camouflaging cover) was particularly distressing. Agent Orange still contaminates the water in some areas of Vietnam. We left feeling weak. We were in need of sustenance. A short walk south east took us past the open shop front of Quán Cơm Đồng Nhân on the corner of Trương Định and Lê Thánh Tôn. It looked inviting with an array of dishes in cabinets and on display on the counter. We ordered some fried spring rolls and were ushered upstairs to one of the vacant stainless steel tables. There was a refreshing breeze in the upstairs room as it had open-sided walls, and an awning to provide shade. This felt like a place where the locals ate. The food was exceptional and it was very cheap too. The style of table waitressing was quite abrupt but, if anything, it added to the experience. We had initially had concerns about eating there but it was one of the best decisions we made. I’d read about the Dan Sinh Market and I realised that we were now not too far away from it. My iPhone worked on a free data roaming package in Vietnam, so I navigated us directly there. I’m not sure what I was expecting to find, but it was interesting to visit this flea market. 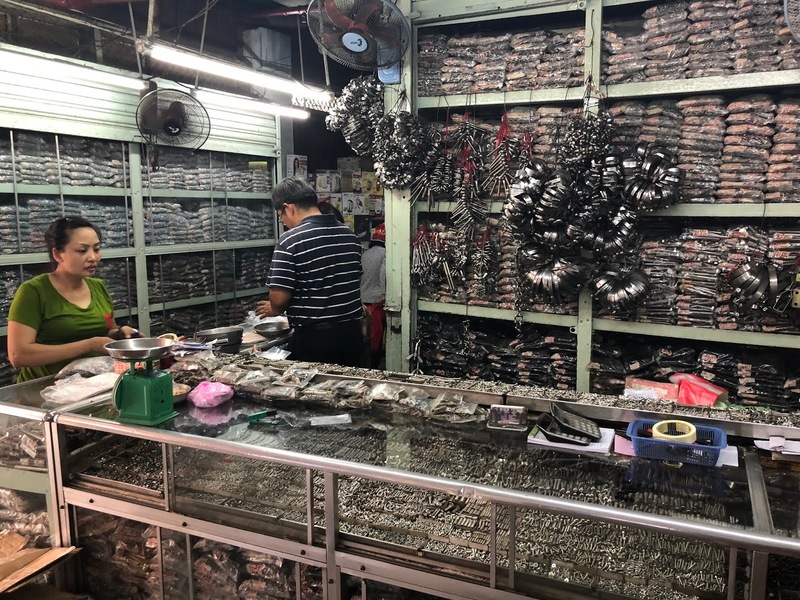 The first stall in the market was entirely grey and sold a huge selection of carefully-sorted screws, bolts, nuts and washers. The next stall sold old tools - mostly spanners. Another sold various gauges. Stall holders dismantled faulty goods and sold the component parts. The whole place (aside from the first stall) was a real jumble sale; to the untrained eye it seemed only a few degrees more organised than a scrapheap. Having wandered a fair distance from the entrance we made a hasty retreat when the rodents and cockroaches ceased being shy of humans. I was glad we had seen it but I wouldn’t recommend it unless you speak Vietnamese and need to fix a nearby washing machine. 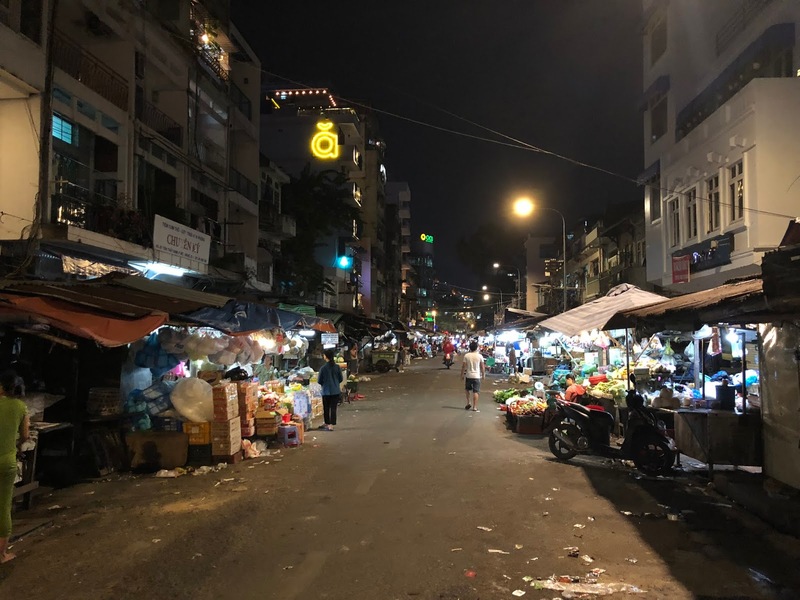 We walked back to the hotel - we had walked a sizeable circuit around Ho Chi Minh City. Ben Thanh Market is an indoor market by day that is transformed into an outdoor market at night. 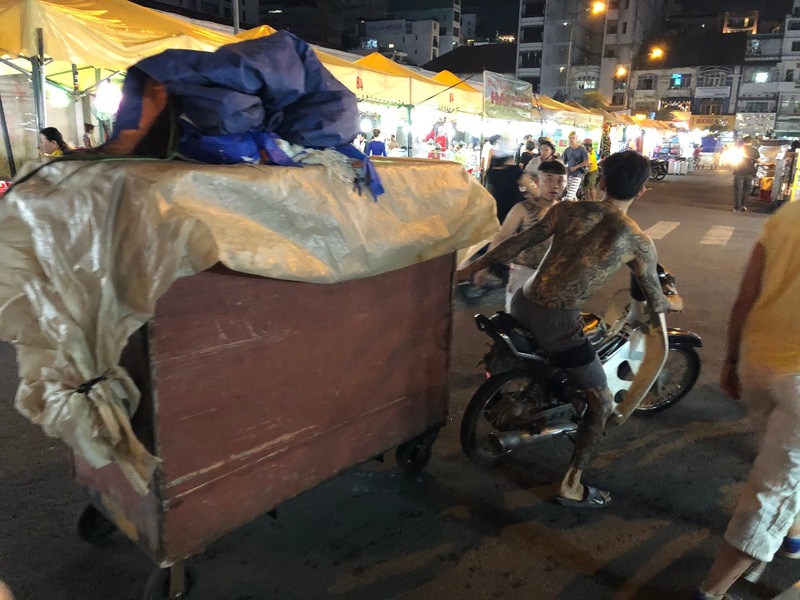 The packed-up stalls, loaded into carts, were dragged outside by tatooed guys wearing shorts and flip flops. They held the wheeled carts with one hand and propelled their motorcycles with the other, encouraging people to move out of their way with loud shouts. Synchronised quartets grabbed the legs of a gazebo and dispersed outward to open the canopy. While this was happening the chefs were in the final stages of setting up their kitchens on the pavement; tall pots were placed on already-glowing charcoal embers. A street that had been almost vacant at five-to was fully established for business on the hour. We were so impressed by the expedient setup that we couldn’t help but be drawn into a place called Quán Cù’a Tây. 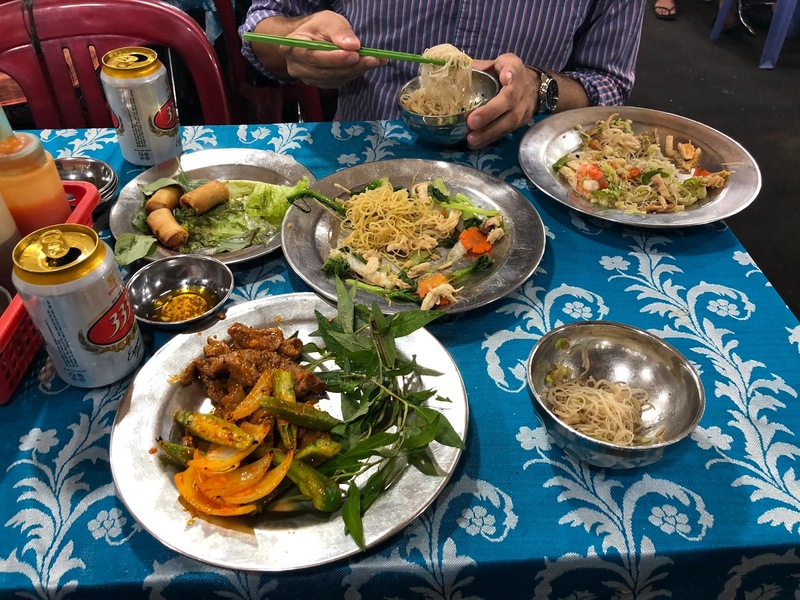 We had one of the best meals I’ve ever had: a can of Vietnamese ‘333’ beer and fried spring rolls (Chà Giò) to begin with, then fried noodles with chicken (Mì Xào Gà), fried noodles with squid, and finally grilled beef (Bò Nuớng Vī) served with Vietnamese water mint leaves (I think). 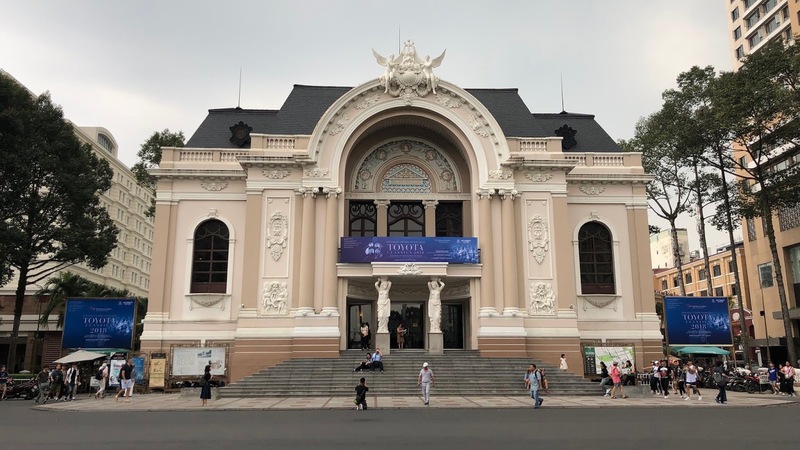 I think it cost about ₫150,000 VND - roughly £4.90 GBP. In raptures, we worked our way back towards the hotel. 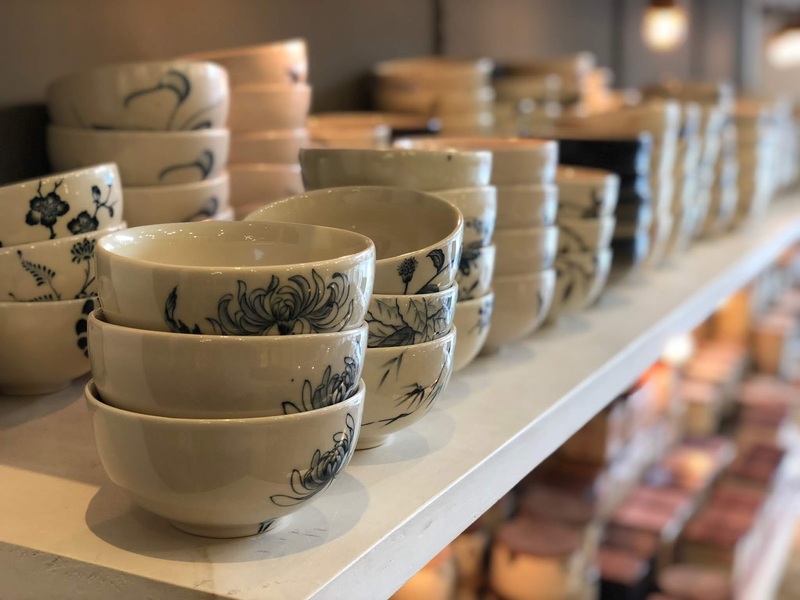 As we left the market we saw a young man depart on his motorcycle with considerable acceleration; he twisted the throttle with one hand while nonchalantly holding a tray containing three brim-filled bowls of soup in the other, and off he went. We joined some friends from the orchestra in a bar near the hotel - Malt Saigon. It had interesting craft beer on tap and various bar games available. 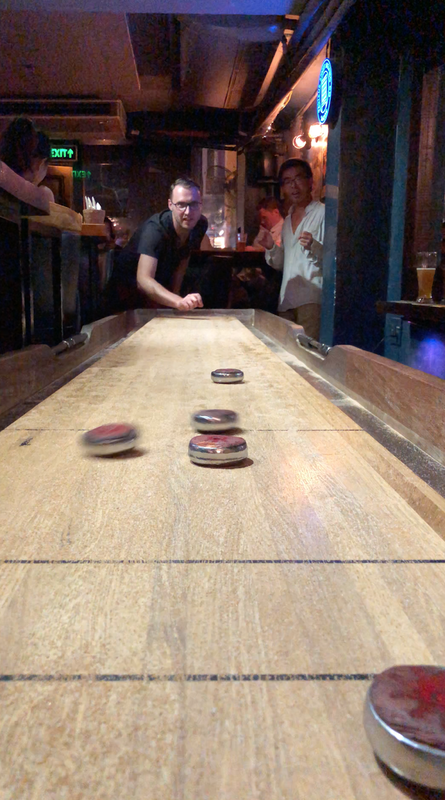 We played a game called shuffleboard. A long and wide wooden plank had been sprinkled with fine sand. The game was played by sliding puck-like metal discs along it. It worked something like a defrosted version of curling and was a lot of fun. There was a great view from the rooftop pool in the Renaissance Hotel. There were two poolside balconies with panoramic views over the river. Passing boats and barges carried various loads - some of the cargo vessels were so overloaded that they looked to be on the brink of sinking. Other noticeable vessels on the river were the yellow water busses. Bach Dang Waterbus Station was right outside the Renaissance Hotel. After breakfast on Friday 16th November 2018, I decided to join a group from the orchestra who wanted to go on a pre-rehearsal boat trip. The initial idea was to take a riverbus and stop at the prominent skyscraper visible in the distance. Vincom Landmark 81 (so-named as it has 81 floors) was completed in 2018 and is currently the fourteenth tallest building in the world (at the 461.5 metres). It is a remarkable 199 metres taller than the next tallest building in Ho Chi Minh City. 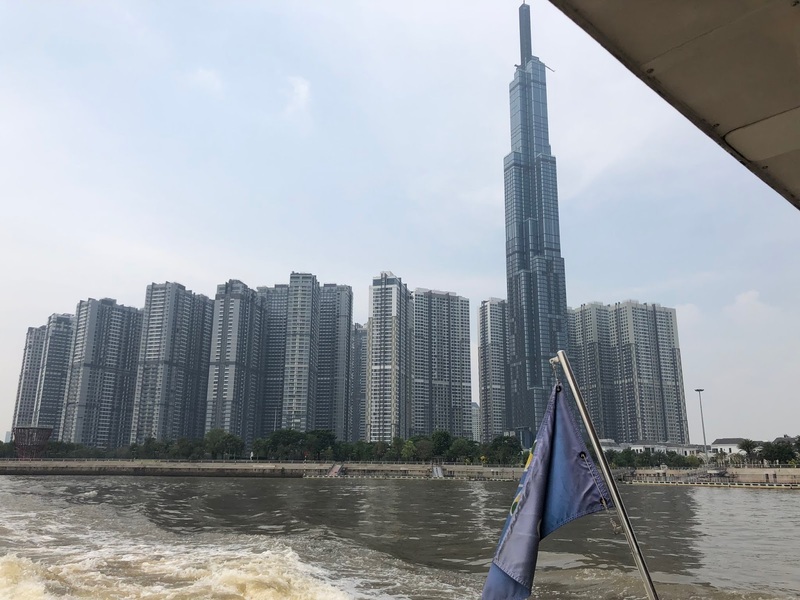 We bought return tickets (for ₫15,000 VND, about £0.50 GBP) and took a ferry that went in the direction of Landmark 81. We soon realised that the waterbus did not stop nearby. 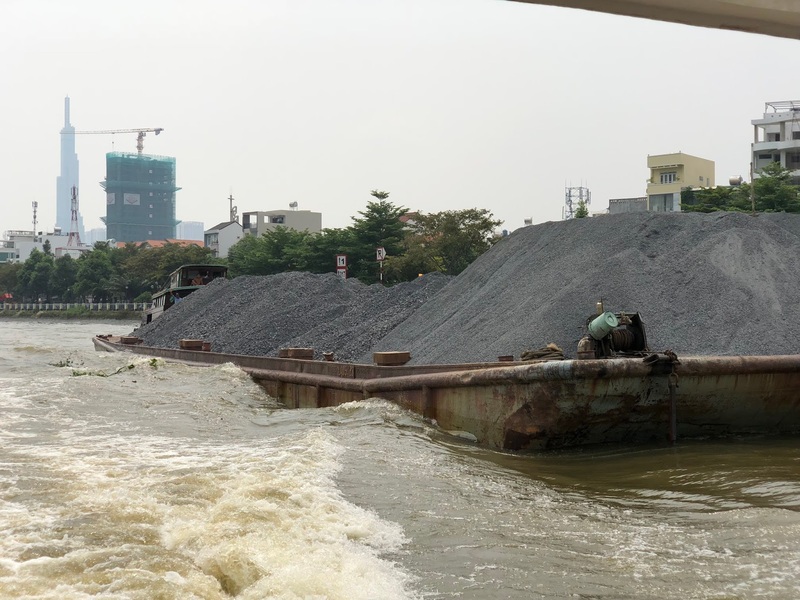 Nevertheless, we carried on to the end of the line at Thanh Da Waterbus Station and explored a corner of this small island - an island presumably formed by an oxbow lake. There wasn’t much there to be honest. The group of us watched a man washing a chicken with a flannel and we (unintentionally) made him feel self-conscious. We turned around and got back on the ferry and cruised past Landmark 81 again. I had searched online and found nothing to suggest that it was open to the public, so we accepted plan B of simply viewing it from the river. We also noted the French-influenced grand houses along the riverfront and hoped that the wake of our boat wouldn’t unsettle the fully-laden passing barges. It had been a fun and inexpensive morning out on the Saigon River (Sông Sài Gòn). Our phở club reconvened for a leisurely lunch at Phở Ông Hùng. Will and I prepared ourselves to rehearse but the trumpets were not required at the 16:00 rehearsal on Friday 16th November 2018. The orchestra would be rehearsing Handel’s Lascia ch’io pianga from Rinaldo [HWV 7] with a team of dancers. Will and I left the hotel and wandered towards the opera house. We walked through the memorial park and admired the French colonial city hall. Turning left we continued on Lê Thánh Tôn and stumbled upon a shop called Authentique which sold mostly ceramic items. I immediately loved this shop. I returned many more times to purchase Christmas gifts for my wife and our families. I also introduced several colleagues to this wonderful place. Bubble wrap ensured that everything got home in one piece. We were still a bit early for dinner so we stopped at BiaCraft on a busy junction at Nam Kỳ Khởi Nghĩa. We enjoyed a leisurely beer while watching the passing motorcycles. 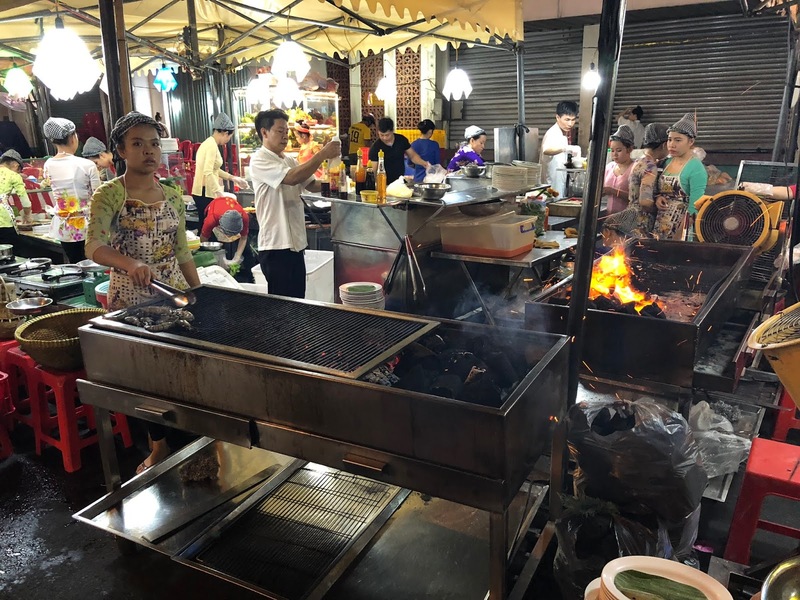 While we were there, Will and I entertained several other ideas for dinner but we eventually returned - without regret - to our favourite place, Quán Cù’a Tây at the nearby Ben Thanh Night Market. We intentionally arrived early just so we could see the spectacle of them setting it up again. We ate almost exactly the same as last time, but with the squid substituted for a whole fish - grilled red tilapia with salt and chili (Cá Nuớng Muõi Ớt). We went back to the hotel trying not to block the view for the crowds who had assembled to watch the Vietnam vs. Malaysia football match which was being shown on a big screen at the memorial park. Vietnam won 2 - 0. On Saturday 17th November 2018 I spent much of the late morning back at Authentique - purchasing Christmas presents and a few items for myself. I felt comfortable in Ho Chi Minh City. I’d been away from Britain long enough to need a haircut, so I visited a stylish boutique opposite the Ho Chi Minh Opera House. There’s something about having your hair cut on tour that makes you feel quite at home. I was in and out in good time for our 15:30 rehearsal. 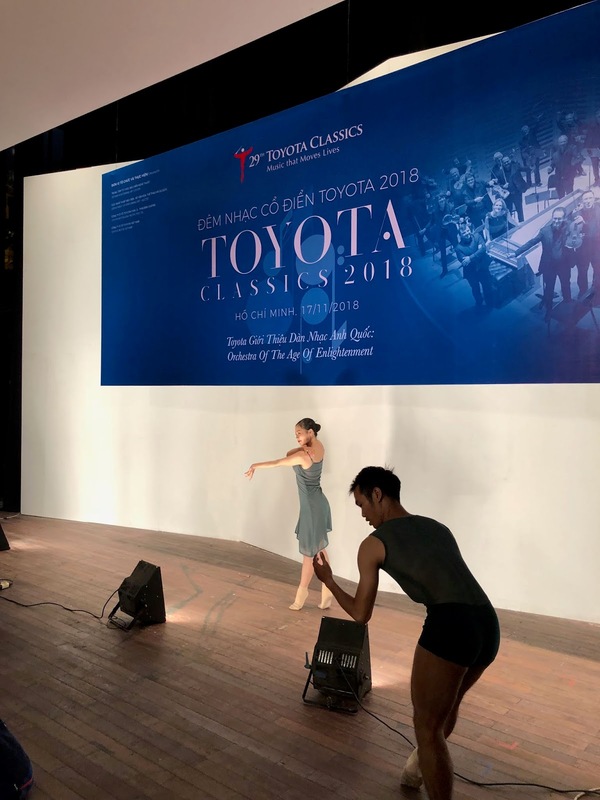 We rehearsed in the Ho Chi Minh Opera House, originally named the Opéra de Saigon; this 800-seat, distinctly French theatre was built in 1897 and restored to its former grandeur in 1995. The rehearsal mostly consisted of topping and tailing, with the main focus being on the piece with the dancers. It was a beautiful space to play in. After the rehearsal we had our final ‘Start Your Impossible’ workshop. This time we were joined by group of young Vietnamese instrumentalists. The format was somewhat different to the Cambodian workshop - it would be only an hour and we weren’t entirely sure if the participants were expecting only to listen or to play as well. It began in a similar way to the Brunei workshop, with the orchestra on stage and the audience in the stalls. It became apparent that the students had instruments with them, and that they had prepared Handel’s Suite No.2 in D Major from the Water Music. The selected group of musicians from the Orchestra of the Age of Enlightenment re-crooked, retuned or transposed to sound at A=440Hz. Steven Devine directed the ensemble and made salient points, addressing each of the instrumental sections and OAE players in turn. It turned out to be an excellent collaboration and the session culminated in a stylistic performance and then a group photo opportunity. I had been coaching and playing alongside two Vietnamese trumpet players. One played first trumpet on a piccolo trumpet in A and the other played second trumpet on an Edwards C trumpet. They each had a go at playing the natural trumpet. With the piccolo trumpet being two feet, the modern trumpet being four feet, and the natural trumpet being eight feet, I was able to show the students of the ensemble just how dramatically the trumpet has changed since the Baroque period. The orchestra members arrived for the final concert of the tour looking positively sharp and glamorous. Many players were wearing new, specially-commissioned garments that had just been completed by Ho Chi Minh City’s tailors and dressmakers. The concert was a great final performance. After the concert, we returned to the hotel to attend a thank you party. Thanks were exchanged in heartfelt speeches and there was a fantastic dinner buffet. Next came the job of packing. The items I had bought in Authentique were small but delicate. They had been carefully wrapped in bubble wrap, which made them much more bulky than I first anticipated. I eventually managed to pack everything safely in my hold and hand baggage. When I had been packing for the trip in the UK (before the start of the tour) I had intentionally packed a pair of long-serving concert shoes that I planned to jettison after the last concert. I knew they looked a bit tired with formal dress but they had a fair amount of wear left in them for more general use. The hotel shoe shining service in Brunei had given them a new lease of life and I didn’t want to just bin them. I went down to the lobby with everything packed and carried the shoes separately. While we were waiting to get the coach, I asked a colleague to look after my bags and I went for a short walk outside the hotel. I specifically looked at the shoes people were wearing and I offered the shoes to a man of a similar size to me who appeared to be quite poor - and he had almost walked through the bottom of his current pair of shoes. He was delighted to have been given them and I was glad that they didn’t just go to landfill. I returned to the lobby and reclaimed my bags. Hayley (second bassoon) had come down. On the advice of doctors, she was not going to be travelling home with us. It was potentially dangerous for her to fly while she had dengue fever. It felt awful leaving her behind, but she was being looked after by our very caring manager from the management organisation. Everyone wished her well for a speedy recovery. I spoke to her and opened my wallet to give her my last (slightly crumpled) US dollar bill. We had an OAE Education rehearsal on Thursday in the UK. I said “Hayley, I bet you my bottom dollar that you’ll be back in time for the rehearsal on Thursday” - and she got back in time! I had one last coach trip to spot the most outrageous cargo carried on a motorcycle. I had absolutely loved it here - I know I will come back to Vietnam one day. It seemed to be extreme and high octane and yet a happy medium of all my favourite places on the tour combined. 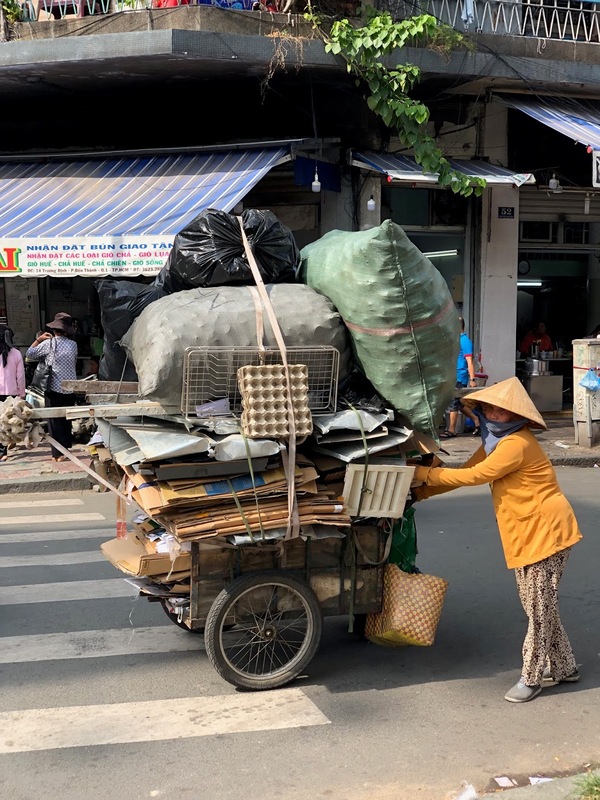 It was a great city for this epic tour to come to an end; Vietnam seemed to encapsulate and accentuate the finest aspects of the whole tour. 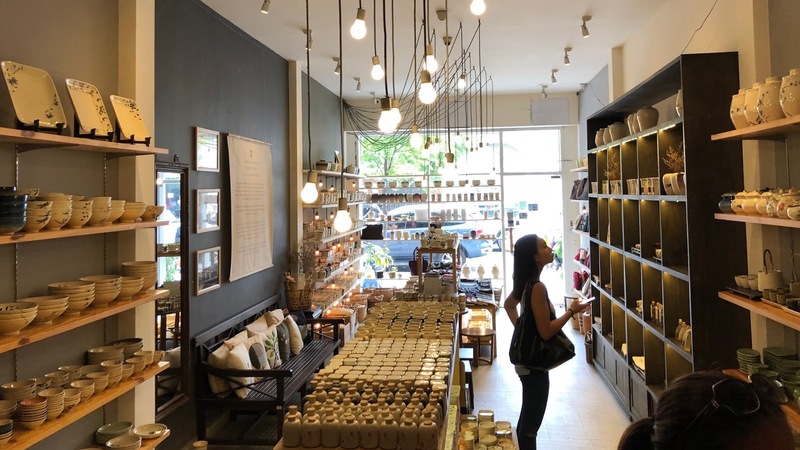 I thought back to the incredible experiences along the way: the river cruise in Brunei, the bike tour in Bangkok, the first phở in Laos, the education project in Cambodia, Lea Salonga in Manila and the Brickfields curry in KL. It had been a fascinating tour with a great combination of people. We flew out of Ho Chi Minh City over the Mekong Delta, crossing the South China Sea one last time. We approached Singapore’s Changi Airport over twinkling ships in the bay and many hours later, we returned to a glimpse of Windsor Castle on the approach to Heathrow.